Perched at a height of 2200 meters, the lively hill town of Darjeeling is tucked away in West Bengal lively winter spirit. Although it is popular with travellers throughout the year, this is perhaps the one time when the joy radiates from people here without bounds. Surrounded by lush green tea plantations, the hill station is known to offer spectacular views of the jagged white Himalayan peaks and the snow-clad peaks of Kanchenjunga – the third highest mountain in the world. With its charming toy train, colonial-era architecture, stunning Buddhist monasteries and vibrant cafes, Darjeeling sure knows how to floor you in more ways than one. You’ll never run short of things to see and do in Darjeeling. Surrounded by verdant tea plantations on slopes, this hill town is a treasure trove of alluring experiences to all kinds of travellers. You could catch a picturesque sunrise over the Kanchenjunga peak from Tiger Hill, explore unique eastern architecture at the Japanese Pagoda, appreciate the murals displayed in the Yiga Choling Gompa; observe the numerous species of birds, insects and reptiles at the Bengal Natural History Museum or even spot red pandas and snow leopards at the Himalayan Zoological Park. 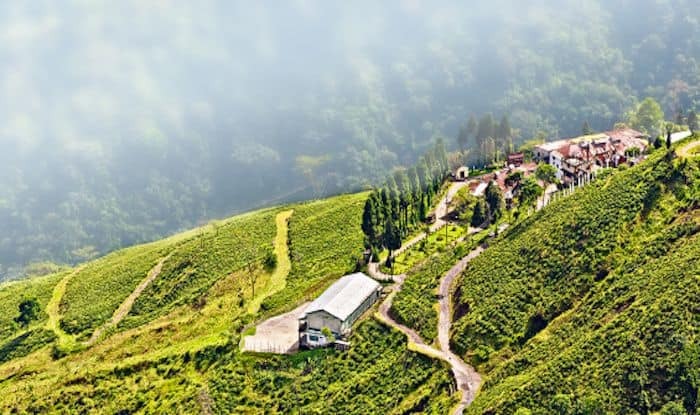 Then of course, there are iconic cafes like Glenary’s where you can have your fill of coffee and cake, or have a piping hot cup of fresh tea from one of the many tea plantations dotting its landscape. Although there aren’t many restaurants in Darjeeling, there are a few places you can warm your tummy and soul by eating hot and flavourful fare such as freshly baked cakes and hot Tibetan preparations and even some home-style Italian food. They might not match the standard of food in the cities, but you’ll definitely leave feeling happy and satisfied. Now, what’s a visit to Darjeeling without some shopping. The bustling market places on the mall are a delight to explore. Darjeeling markets have branded as well as local stuff, and they are sold at a low price. You can amble along the Mall in search of precious little trinkets and enjoy freshly baked goodies at the local cafes; a few days in Darjeeling will leave you rejuvenated, relaxed and completely at ease.